Educate the Kids is now in its 20th year, and was founded in 1998. The charities vision is to ensure that children in Africa have their needs met, their rights upheld, and their dreams fulfilled through education. The Charity was founded by Maureen and Ian McIntyre in 1998 after visiting Kenya and being moved by the poverty, poor health and lack of basic facilities. Maureen set up the charity and sponsorship programme offering the poorest children access to an education in the area of Utange, near Mombasa. What started off as sponsoring one little boy spiralled into a charity, which currently provides education for around 700 children every year. The Jolaurabi School was opened in 2001 and has flourished since, although the name sounds African it was actually named after Maureen and Ians three grandchildren Jo = John Laur = Lauren Abi = Abigail! As numbers grew, new facilities were created – new schools, water, electricity, and computers. The charity now enables over 600 children the opportunity to study. A further 100 students are sponsored in secondary school education. Maureen formed a singing group in Kenya called the Singing Children of Africa which she brought to the UK for a 12 week tour in 2006. The British public fell in love with the childrens singing and dance moves, but most of all, with the children themselves. The astonishing amount of money raised on this tour funded the building of an orphanage. No deductions are made from the sponsors payments for administration. We have no paid officers and are very grateful for work done by volunteers, which help keep our costs low. Administrative costs are met by fundraising and from tax we recover through Gift Aid. All sponsorship payments therefore go 100% to the charities work for and around the sponsored child. Educate the kids actively seeks out opportunities to educate the poorest children, those that without help would have no hope. 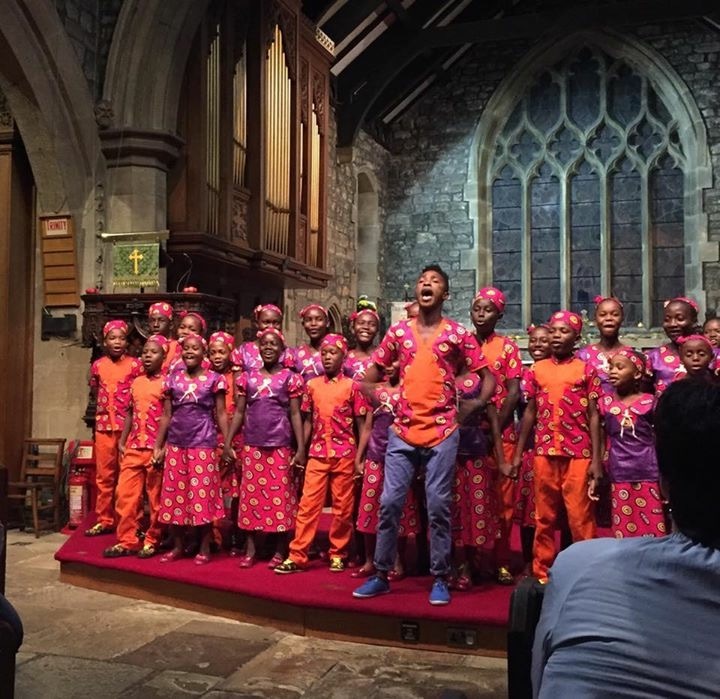 The Singing Children of Africa of will be coming to the UK once again from September -November 2018. The aims and objectives of the tour are to raise funds to be able to expand the school provision, meaning education for even more children. From the childrens point of view, it offers an extremely valuable educational, cultural and musical experience. The children range from ages 9 to 14 and will spend time attending schools whilst in the UK, exchanging cultures with the local children, whilst living with wonderful host families around the country. Their performance, which is a mix of traditional and contemporary songs African style, shows their confident personalities. Their smiles and happiness that exudes from these children affect all that see them, the tour for 2018 is called Beleive. If you wish to find out more about how you can help a charity log, donate or sponsor a child onto their web site www.educatethekids.com or check them out on Facebook and find out more about them and if the Singing Children of Africa will be performing near you.